Jamie Kelly, 25, lives in London but has spent one season as a ski rep in Meribel after graduating from university. 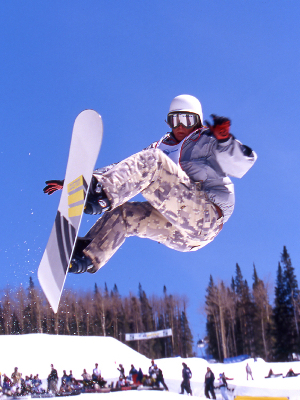 A big snowboarding fan, becoming a ski rep seemed the perfect job! What are the day to day duties of a ski rep? Transfer day is the one everyone dreads. You have to be up at three, four or five AM to ensure the first guests leaving that day get to the airport and then you often don't finish till midnight, so it's a long day. The rest of the week you do evening visits between five and eight to ensure the guests are okay. There are also activities that you have to split between the rest of the reps, for example bar crawls, quizzes or bobsleigh trips etc. You will also have a few meetings with the rest of the team during the week. Do you actually get to do a decent amount of skiing? Probably more than anyone else. You will get on the mountain 6 days a week, most weeks, if you wanted to. These won't always be full days because you may have meetings that start around 3pm ahead of transfer day. What sort of person would best suit this job? An outgoing, friendly, people person. You have to be able to deal with (occasionally) upset or angry people that have spent a lot of money on their holiday and you have to be able to think on your feet to ensure the guest is happy at the end of it. You need to be able to keep on smiling no matter what people say to you! What sort of qualifications and skills would you need? None, you just need the traits mentioned above. Any tips on interview techniques that might land you a position like this? Be confident, and get involved. They are normally group activity type interviews, so don't sit back. They want to see you pick the task up, lead from the front and move with it. What would you say are the high points of the job? Getting to snowboard a lot and of course, the nights out. It's not all about the snowboarding, the party lifestyle is a big aspect of it. What sort of money can you make doing this - is it more about the lifestyle? It's definitely more of a lifestyle thing. You won't come back with a Ferrari that's for sure. Most people tend to break even at the end of it, while some may come back with £1000. How much you save depends on how much you go out, as drinking is your only real expense, and also if you are nice to chalet hosts! What's the best way to go about securing a position? I would suggest that you apply to all tour operators; they all have their pros and cons and you will be able to gauge who you prefer the more interviews you go to. As for other jobs at a resort...are there any that you've heard about that you'd avoid and if so, why? Chalet hosts work hard as they are up cooking breakfast 6 days a week and if you have been out until 4am this can prove a touch difficult. All jobs have their pros and cons though, I wouldn't say there are any to avoid. It mainly depends on whether customer facing roles suit you or if you want minimal responsibility or vice versa. Not really in the big French resorts. Most people speak good English there. Although it would make your life easier on occasion....and the locals will appreciate it if you try! 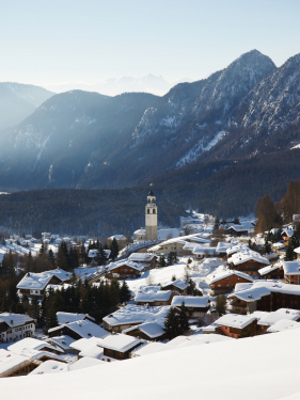 Is it possible to follow the snow and spend your career break skiing around the world? Definitely, as long as you are committed and want to do a season then anyone can. I've met quite a few people that have done this exactly. Jamie Kelly, 25, is a recent University graduate currently working his first ski season. Originally from Bridgwater in Somerset, Jamie studied Building Surveying at University of the West of England, Bristol, and now lives in London (when he's not skiing). Since finishing his season Jamie along with two friends has helped to set up OWE. 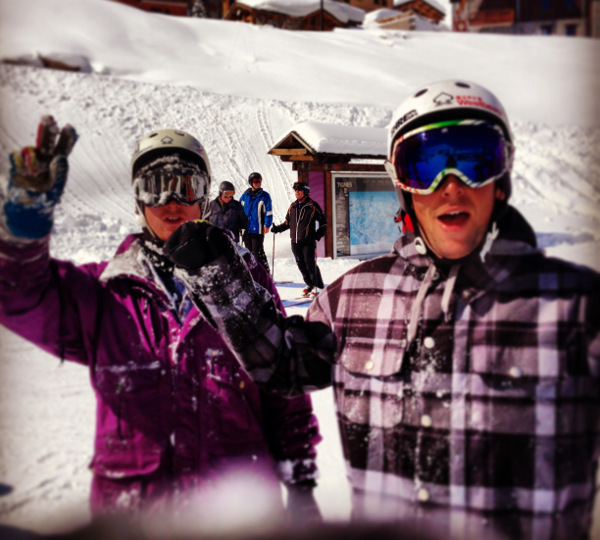 Snowboarding who are a rider owned clothing company based in the UK and the French Alps. You can follow them through Twitter @owesnowboarding or on Facebook.